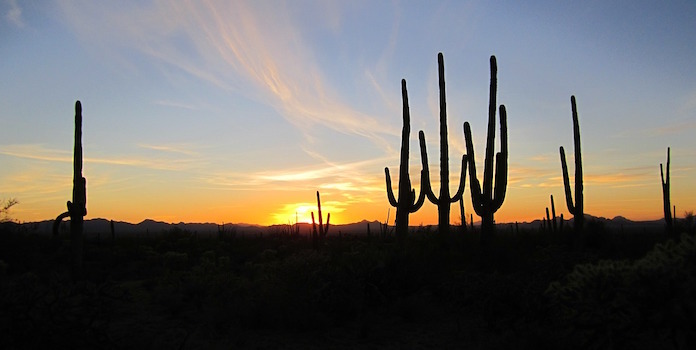 With a state average of 300 days of sunshine throughout the year, the number of solar installations in Arizona are growing so quickly that APS (the state’s largest utility) has been struggling to keep up with all the approvals homeowners submit to connect their panels to the grid. And there are now dozens of solar companies popping up in the state, each looking to serve the rapidly expanding solar market. Of course, not all are up to the task of being one of the top solar companies in Arizona. When compiling this list I examined a number of details, from the online reputation of each company to how many people they employ and how many installations they’ve performed. Every company on this list has at least an ‘A’ from the Better Business Bureau, and most have earned an ‘A+’ accreditation. I also looked at their ratings and reviews on sites like Google, Yelp, BBB, and SolarReviews. I’ve tried to stick to installers headquartered in Arizona, rather than looking at the big national companies. I’ll not claim this list is the be-all and end-all of solar installers in Arizona, but these are all companies in good standing, and an excellent place to start looking for someone to help you on your solar journey. Black Platinum Solar have earned themselves Solar Power World’s Pre-Screened Solar Pro accreditation — the requirements for this are tight, and it’s something very few companies achieve. If you’re not familiar with it, the Pre-Screened Solar Pro award is given by SolarReviews.com to contractors who pass some very stringent requirements — including 3 years of experience, average reviews on the site of 4.5 stars or better, and passing a check from ContractorCheck.com. SolarReviews believe only 20% of installers are capable of meeting the requirements, and Black Platinum Solar is one of only two companies on this list to earn the award. John Black started Black Platinum Solar in 2007, and it serves customers in the Phoenix Metropolitan Area. They’re a small business employing only 3 people, but as of February 2017, they have installed more than 245 grid-tied solar systems — over 2.95 megawatts of photovoltaic power. They specialise in micro-inverter based systems — where the power is converted from DC to AC at the panel, instead of having a separate inverter — and only use products from Enphase Energy (the leader in microinverter technology). At the time of writing, Black Platinum Solar has 5 stars from SolarReviews.com, with a substantial 131 positive reviews. 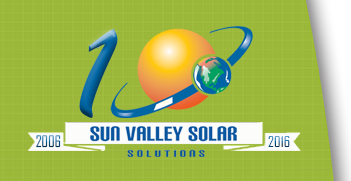 Sun Valley Solar & Electric was founded in 2006 by Russ Patzer and Joe Messner. The pair worked together as engineers at Intel, and after seeing solar power in action on business trips to Oregon and Ireland, they decided to go into business together. Patzer and Messner state that they are working towards the dream of seeing the roofs of Phoenix completely covered in panels. Sun Valley Solar has quickly grown to be one of the largest installers of residential solar systems in the whole of Arizona, and the largest company on this list with 94 employees. They were among the first installers to earn APS certification (being able to install systems tied to the grid administered by the Arizona Public Service Electric Company) and get almost all of their business through word-of-mouth referrals. Sun Valley Solar has 4.9 out of 5 stars on both Yelp and the BBB. Based in Tempe, American Solar and Roofing was originally started in 2001 as American Solar Electric by Sean Seitz and Will Herndon. In 2008 they expanded their business to include a variety of services as specialist roofing contractors. Their dual expertise in solar energy and roofing gives them great flexibility, and a fantastic skillset to call on as installers. To reflect this, they changed their name to American Solar and Roofing in 2014. Sean’s wife Joy currently leads the company as the CEO, while Sean acts as the COO. So far American Solar and Roofing employs 55 people, and has served over 5,000 customers across Arizona. The company has 4.7 stars from customer reviews on the BBB. Alongside their services installing photovoltaic solar panels, they also provide solar hot water systems and ancillary services like energy audits — using equipment like FLIR cameras to locate areas in your home that may be thermally inefficient. This gives them a lot of flexibility in the services they offer, so if you’re interested in more than just solar, take a look here. 68 reviewers on SolarReviews.com gave Arizona Solar Wave and Energy 5 stars. Technicians for Sustainability is a mission led company headquartered in Tucson. The company was founded in 2003 by four friends with strong environmental and ethical ideals. They’re proud of their status as a certified B-corporation — a voluntary commitment to hold their business to high ethical standards. The company employs 30 people, and their focus is split between installing photovoltaic solar power and solar hot water systems. Technicians For Sustainability state that their mission is to ensure that Southern Arizona’s natural resources are used with both efficiency and respect for the community’s present and future needs. They are proud to practice what they preach, and all of the founders live with the systems they install and advocate for, as well as making, fuel-efficient transport choices and choosing to partner with companies that hold compatible values and standards of ethics. 35 Google reviewers gave Technicians for Sustainability 4.9 out of 5 stars. PEP Solar is a family owned business with a fascinating history. Originally Phoenix Energy Products, in 1981 they were approached by Senator Barry Goldwater to meet with the chairman of the Navajo. The Navajos were seeking a replacement for the kerosene lamps they used for heat and light inside their hogans, after several incidents where people had fallen asleep with the lamps burning and died of carbon monoxide poisoning. By partnering with Shell Oil (who owned solar company Solavolt) and Motorola, Phoenix Energy Products began producing solar panels that were installed in Navajo homes alongside lighting, small televisions, refrigerators, water pumps and battery systems. By 1982, they had installed almost 200 systems. Back then, one of the Motorola panels they were using would only produce 40 watts — the technology has improved a lot since then! Nowadays PEP’s preferred panels are thin film CIGS panels produced by Stion, which produce as much as 140W each. PEP Solar have continued in the solar business ever since that first contract, and now have more than nine megawatts of installed solar capacity under their belts. Online reviewers gave Pep Solar 4.4 out of 5 stars on Google. SolarReviews gives them 4.7 stars, from 58 reviewers. Solar Topps was started out of a home office in 2009, initially using their two-car garage as the company warehouse. Prior to moving into solar, they had over 30 years of experience as electrical, construction and service contractors. The company’s growth since their founding has been dramatic. They’ve become an employee-led enterprise, and one of the largest dealers of Sunpower panels and other solar products in the Western US. They serve both residential and commercial customers, and since their founding Solar Topps have installed in excess of 32 megawatts of solar capacity. Solar Topps has 12 positive reviews on the BBB and SolarReviews give them 4.8 stars. Another family run business, Solar Solution AZ was started by the Watson family. Owner Dottie Watson says that she wanted to put the business together to safeguard the future of her grandchildren, both economically and environmentally. The company was founded in 2012 and is headquartered in Tucson. Since then, Solar Solution AZ has employed more than 90 people and installed more than two and a half megawatts of solar energy systems — assuming an average system size of five kilowatts, that’s more than 500 homes! Solar Solution AZ makes a point of using American made parts for their systems whenever possible. They offer a 25 year warranty against roof penetrations, on top of the expected 25-year system warranty most installers provide. Customers gave Solar Solution AZ a 5 star rating on BBB. Premier Solar Solutions are one of the bigger companies on this list, with 85 employees. As well as providing their services directly to both residential and commercial clients, they are also one of the partners Sunrun use to install their solar systems. This means the company has racked up an impressive amount of experience, with more than 20 megawatts of installed solar capacity under their belts. Premier Solar Solutions enjoys 4.6 stars on BBB, from 10 reviewers. They have 18 employees in their Arizona office, and across all four states they have installed more than 1000 solar systems for both residential and commercial customers. The average Yelp rating of Sky High Energy is 3.8 stars. Considering the almost ideal conditions in Arizona, it’s no surprise that you’re spoiled for choice when it comes to solar companies. I’ve tried to highlight some of the more interesting and experienced companies in the state, and I hope you’ve found it both entertaining and informative. If you’ve any thoughts on the contents of the list, I’d love to hear your opinion in the comments below!